Children's do like tiny gadgets, my childhood also passed while dreaming about having such gadgets. Casio watch was also one of them. I saw this type of watch I elders hand. In India, mostly Muslim clerics (Maulanas) and elder people wear this watch. Most of them use steel body version. Its little alarm beep attracted me, and since then I wished to have this watch. One more attraction was because whoever I found wearing this watch told me that this watch is purchased from Saudi Arabia. 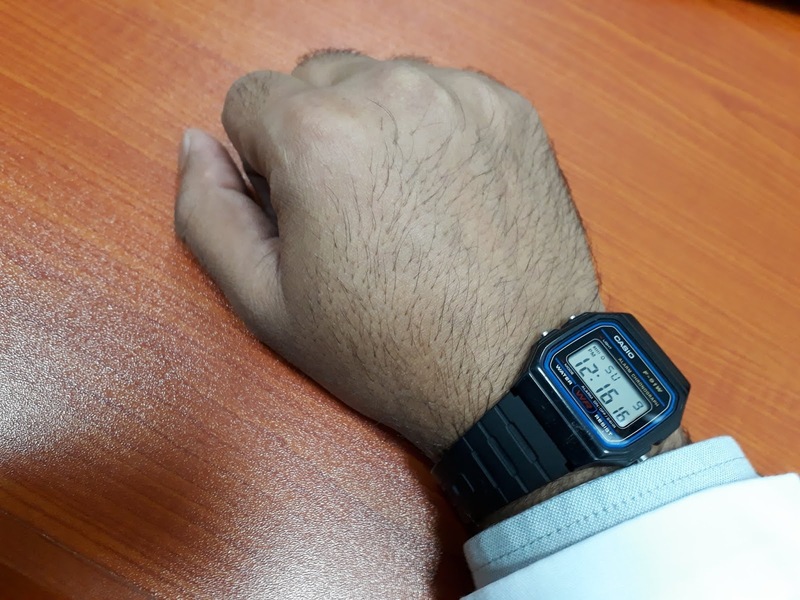 Until my teenage I requested to some people to bring me this watch from Saudi. Unfortunately, no one gave me that. Luckily in 2017, I got the work visa in Saudi, I started to work here in Rabigh, KSA. In April-2017 finally, I purchased this watch from the local mall. Now I wanted to give similar watches as a gift to the school students from my family. While writing this post I have this watch in my photo, as you can see in the above picture.